Justin Timberlake Archive - Ready to Win Big? JT Radio Contest Just Announced! You are here: Home / News / Ready to Win Big? JT Radio Contest Just Announced! Ready to Win Big? JT Radio Contest Just Announced! Can't get enough of Can't Stop The Feeling? Some of the biggest radio stations in the game are giving you the opportunity to win a trip for you and a friend to meet JT and attend the Trolls U.S. premiere (airfare and hotel included)! 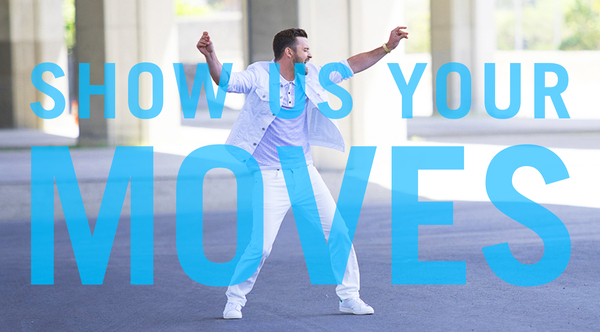 Upload a video of you dancing and singing to #CantStopTheFeeling to Youtube, and follow the instructions for each station below to enter. To enter, users must create & submit a YouTube Link to a thirty-second (:30) or longer video clip of the entrant lip-syncing “Can’t Stop the Feeling” by Justin Timberlake. Entrants must provide a SHARE link of their Video Submission in their online entry form during the Promotion Period. They will be using the hashtag #JTCBSRADIO to promote. Fans must upload YouTube video featuring a performance of entrant performing their best dance moves to Justin Timberlake’s song “Can’t Stop the Feeling”. They must follow @iHeartRadio on Twitter and submit a link to an uploaded YouTube video featuring a performance in accordance with the entry guidelines and Tweet a link to the Youtube Video, with the hashtag #iHeartJT in your Tweet to receive one (1) entry into the Sweepstakes. Entries that do not include “#iHeartJT” and/or the specified description will be void. Entry page here. To enter, create a video of yourself lip-synching to Justin Timberlake’s “Can’t Stop The Feeling” and post it publicly on YouTube with the hashtag #JTSXM and fill out our online entry form. Hey..Great video for your new summer song. Will have to take my grandkids to Trolls. How is your little on doing?